Why is Indian food so enjoyable? IIT researchers crunch data from 2,500 recipes to find the answer. WASHINGTON, DC: Scientists have deduced why Indian food is so delectable. 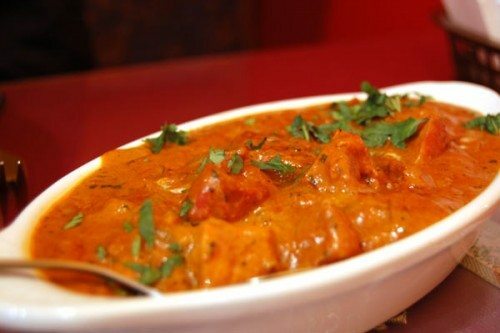 Scientists at the Indian Institute for Technology in Jodphur crunched data on several thousand recipes in order to determine what makes Indian food so enjoyable, and their findings revealed that Indian dishes differentiate themselves from Western schools of cooking by utilizing more radical flavor pairings at the molecular level. As a rule of thumb, most dishes that follow Western culinary ideologies combine similar flavors, which chemists have broken into their molecular parts. The different chemical compounds interact at the molecular level to provide us with the distinct flavors we enjoy. While chefs in the West follow a trend of combining ingredients with correlating flavors, the researchers at IIT in Jodphur have revealed that Indian food achieves its unique palette by doing just the opposite. After breaking a slew of Indian dishes down to their ingredients and comparing flavor compounds, they realized Indian food contains a negligible amount of flavor overlap. In fact, after crunching the data for 2,500 recipes — which used 200 of the 381 observed culinary ingredients of the world — the scientists found Indian fare tends to mix components whose flavors don’t overlap at all. The study also found that the uniqueness of Indian cooking can be observed in some dishes more than others, and seemed to be tied specifically to the use of certain ingredients. The IIT data crunchers reported that spices usually indicated a dish with flavors that harbored no chemical commonalities. More specifically, many Indian recipes contain cayenne, which is the foundation of most Indian curries. According to the Post, when a dish contained cayenne the researchers found that it was unlikely to contain other ingredients that share similar flavors. The same went for green bell pepper, coriander and garam masala, which are just as ubiquitous in Indian fare. With its average of 7 ingredients in any one dish, Indian cuisine may be a complicated affair, but it’s the diversity of those ingredients and spices especially that bring out the food’s inherent uniqueness.